Generation and accumulation of large volume of process and consumer waste. Toxic and hazardous waste storage in open area. Unauthorized waste disposal and unsatisfactory condition of operating test sites of waste disposal. No utilization capacities available for process toxic and hazardous and consumer waste, as well as pesticides and agricultural chemicals, broiler plants waste and processed lead/acid, nickel-cadmic alkaline electrolytes, galvanic waste, spent paint solutions and other chemical wastes. There is no ultimate control over the generation, utilization and burial of waste. Action level of pollution of ground and underground water basins. Emergency state of the plumbing system, lack of effectively operating purification plants. Disproportion between the water supply capacities and waste water treatment. Nonpoint dirty discharge, resulting from precipitation, out of both contaminated and polluted land of industrial facilities, and cropland and farms (oil products, heavy metals, pesticides, ash dumps slag of heating electrical stations, organic admixtures, mineral fertilizers, microorganisms, etc.). Most of facilities (industrial, construction, agricultural, retail warehousing, service sector) do not have any storm collectors. Mass contamination of water with radioactive waste, oil products, pesticides, heavy metals. The State controls over the dirty discharge at the level not exceeding 10%. Action level of the atmospheric air pollution by dust, dirt combustion products (mine waste), waste from operation of the Ukrainian ore mining and smelting and chemical complexes, motor transport, steam power plants and coal mining industry. Not more than 20% of the atmospheric air pollutions are under the government control. Subsidence of territories, saturation and soil flow causes by mining operations without filling of cavities. Surface use without mine site rehabilitation. Economic imbalance in construction materials extraction resulted in the removal of significant fertile soil resources. Utilization of useless weapons, military stores (55 mine launch sites), improper materials (fuel – mélange, heptyl). Lack of essential production capacities for the utilization. Rectification of the radiation pollution consequences in Ukrainian territories following the Chernobyl accident, radioactive waste of the uranium mining and processing industries, atomic stations waste, radioactive waste in Dneprodzerzhisk and Zheltiye Vody. Unregulated transportation and storage of radioactive scrap metal and its utilization at iron and steel companies. Lack of production capacities for the underground disposal of ionizing radiation sources. Use of construction materials, mineral raw materials, mineral fertilizers containing higher level of radioactive and heavy metals. Full absence of the state control over this sphere. Violation of sanitary requirements at the planning and building-up of settlements, construction and operation of industrial facilities, residential buildings, trade and store buildings and service sector facilities. Uncontrolled deforestation and planted land slash. Violation of economic activities within the boundaries of the coastal shelter belts and water conservation zones. Poor provision of population with drinking water, foodstuffs and medical supplies. 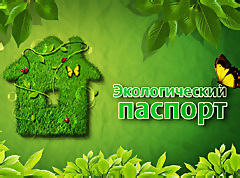 No practice and mechanisms of compensation of damages to environment, human health the life. Low penalties for the violation of the environmental legislation. Economically unfeasible low emission, discharges and waste disposal charge. Warning impact of physical (acoustic, electromagnetic, ionizing, etc.) and biological (microbial strains, bioactive substances) factors on human life and health, the environment. Full absence of the state control over this sphere. No reliable information about the state of environment, emergency situations at extra-hazardous occupancies, the concentration of harmful substances in the air, soil and water, as well as acoustic, electromagnetic and ionizing radiation levels. Hiding, misstatement, providing unreliable information as regards factual emission volumes, waste generation and management. No proper control and non-taking effective (economic, administrative and criminal) actions from the executive powers, to inflictors of the Ukrainian Constitution and environmental law.